Tokyo, 2013. Acrylic on Dibond, 84 x 86"
Jodhpur, India, 2016. 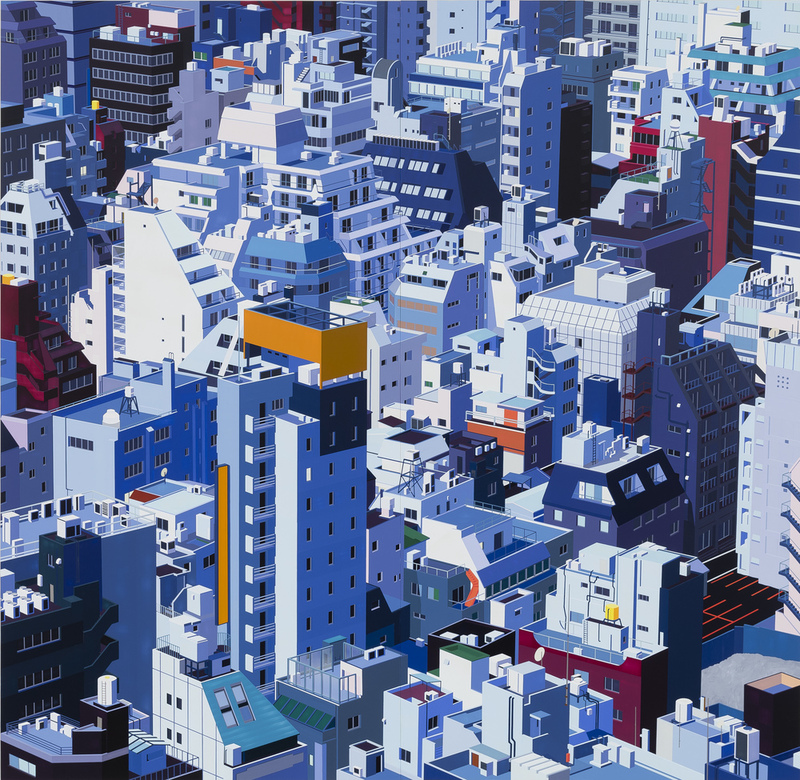 Acrylic on Dibond, 63 x 59.5"
Foxconn Shenzhen, 2012. Acrylic on Dibond, 21 x 19"
Hotel Uzbekistan, 2015. Acrylic on Dibond, 27.5 x 29.5"
Beijing, 2014. 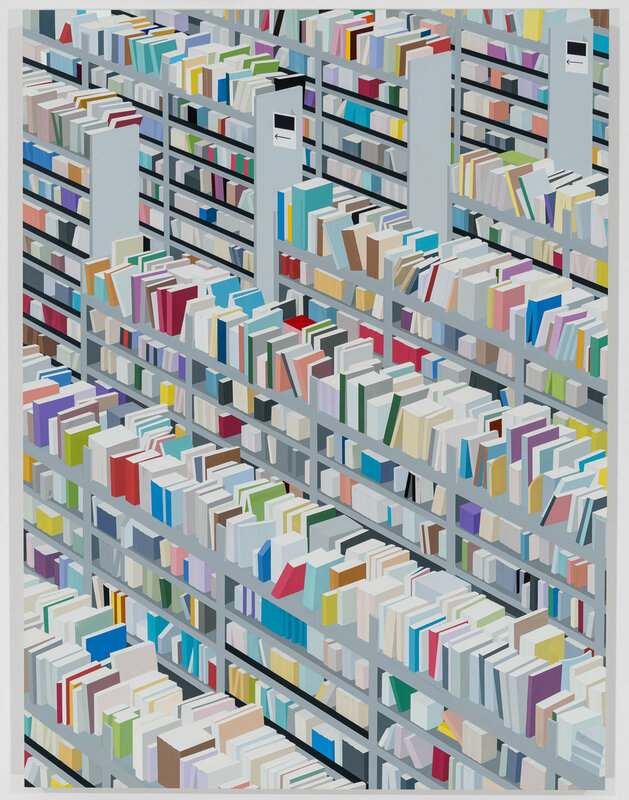 Acrylic on Dibond, 78 x 59"
Amazon Books, 2013. Acrylic on Dibond, 59 x 77"
NYC (UES), 2016. 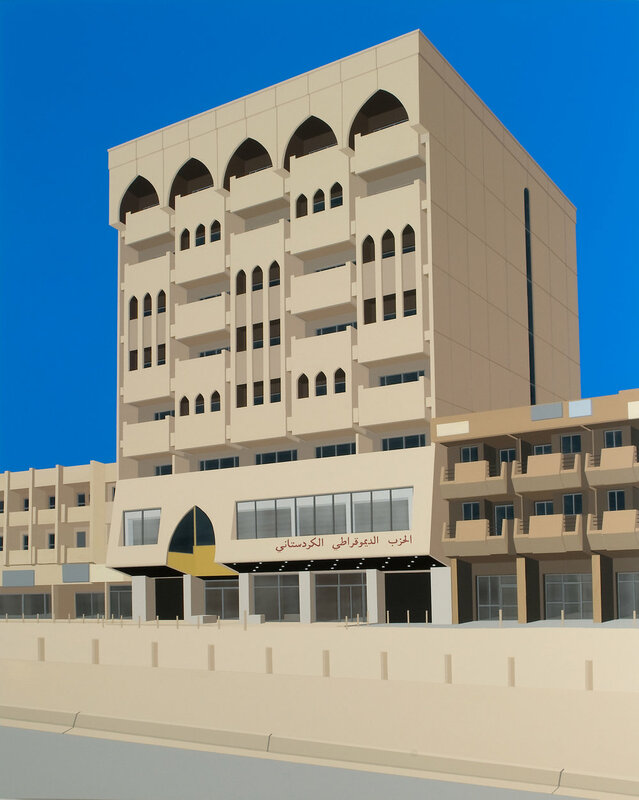 Acrylic on Dibond, 80 x 78"
Saddam Grand Mosque, Baghdad, 2008. Enamel on Wood, 62 x 96"
CERN (Large Hadron Collider), 2014. Acrylic on Dibond, 66 x 59"
Druzbha Hotel, Crimea, 2015. Acrylic on Dibond, 32 x 34"
Dreilinden, 2010. Enamel on Wood, 18 x 10"
Obama's Visit to Baghdad, 2008. Acrylic and Enamel on Wood, 30 x 25"
Server, 2012. Acrylic on Dibond, 35 x 25.5"
Air Force 1 (Hillary Clinton and Barack Obama's Visit to Burma, 2012), 2012. Acrylic on Dibond, 20 x 16"
Favela, Rio de Janeiro, 2014. Acrylic on Dibond, 74 x 84"
Guangzhou Circle (Night), 2017. Acrylic on Dibond, 72 x 59"
Western District, Hong Kong, 2016. Acrylic on Dibond, 37 x 30"
Hong Kong, 2013. 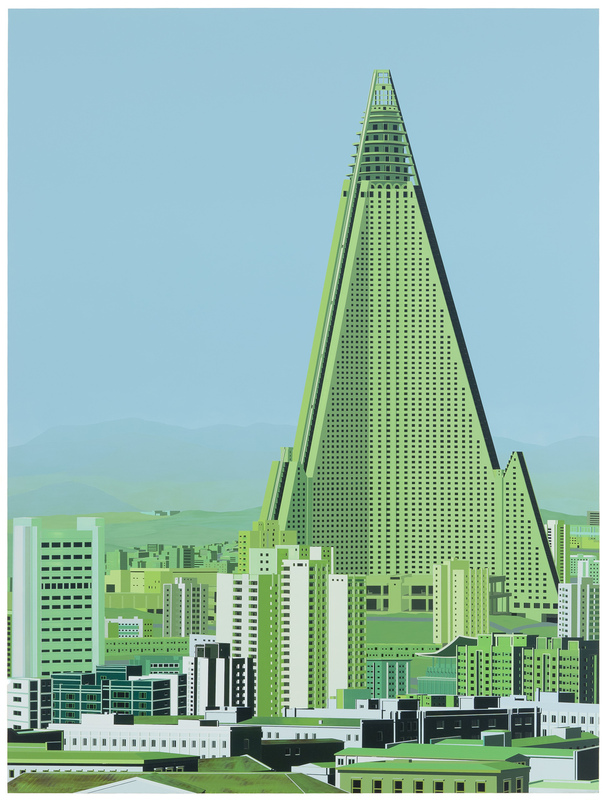 Acrylic on Dibond, 60 x 70"
Ryugyong Hotel, Pyongyang, 2012. Acrylic on Dibond, 75.5 x 57"
Dubai Marina, 2015. Acrylic on Dibond, 30 x 26"
"Gamcheon Cultural Village, Busan, South Korea", 2015. 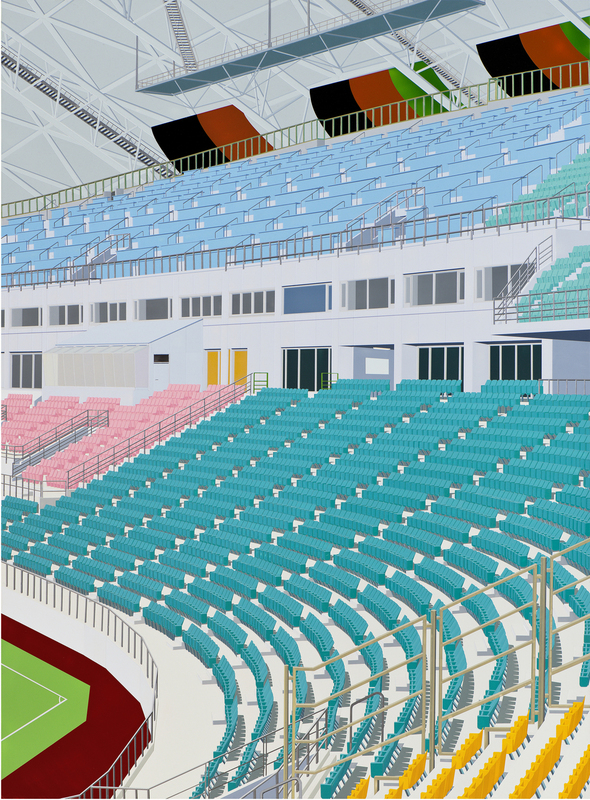 Acrylic on Dibond, 59.5 x 68"
Stadium, 2012. Acrylic on Dibond, 81 x 59"
Drone, 2011. 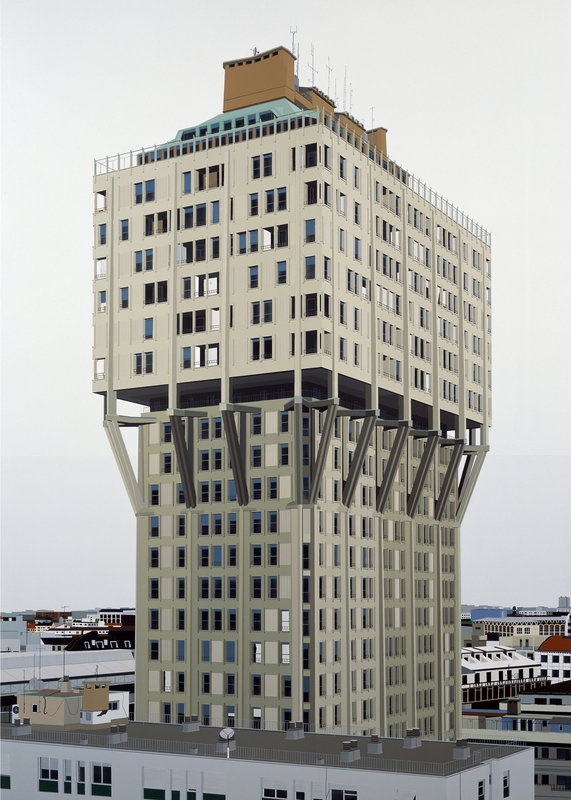 Acrylic and Enamel on Dibond, 47 x 50"
Torre Velasca, 2006. Enamel on Wood, 84 x 60"
"Cairo", 2013. Acrylic on Dibond, 15 x 13"
Miami International Airport, 2006. 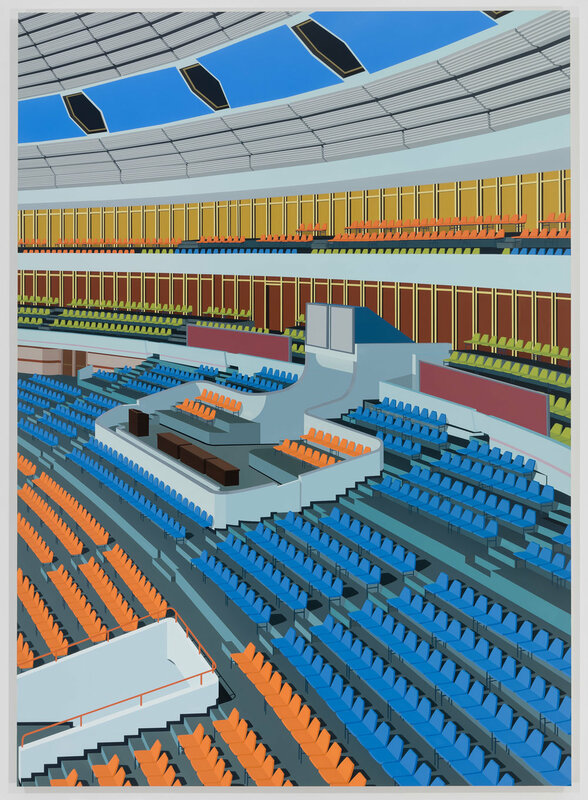 Enamel on Wood, 48 x 46"
Pyongyang Ice Rink, 2015. Acrylic on Dibond, 32 x 26"
Sheikh Zayed Road, Dubai, 2016. Acrylic on Dibond, 26 x 27.5"
Chicago, 2014. Acrylic on Dibond, 33 x 40"
Bill Clinton's Visit to Pyongyang, 2010. Enamel on Wood, 15 x 21"
Jenin, West Bank, 2016. Acrylic on Dibond, 40 x 38"
Palestinian Meridien Hotel, Baghdad, 2016. Acrylic on Dibond, 33 x 32"
The Palace at 4 am, 2007. Enamel on Wood, 60 x 84"
WTC (Blue), 2016. Acrylic on Dibond, 19 x 13"
WTC (Green), 2016. Acrylic on Dibond, 24 x 17"
"Lamma Island, Hong Kong", 2016. 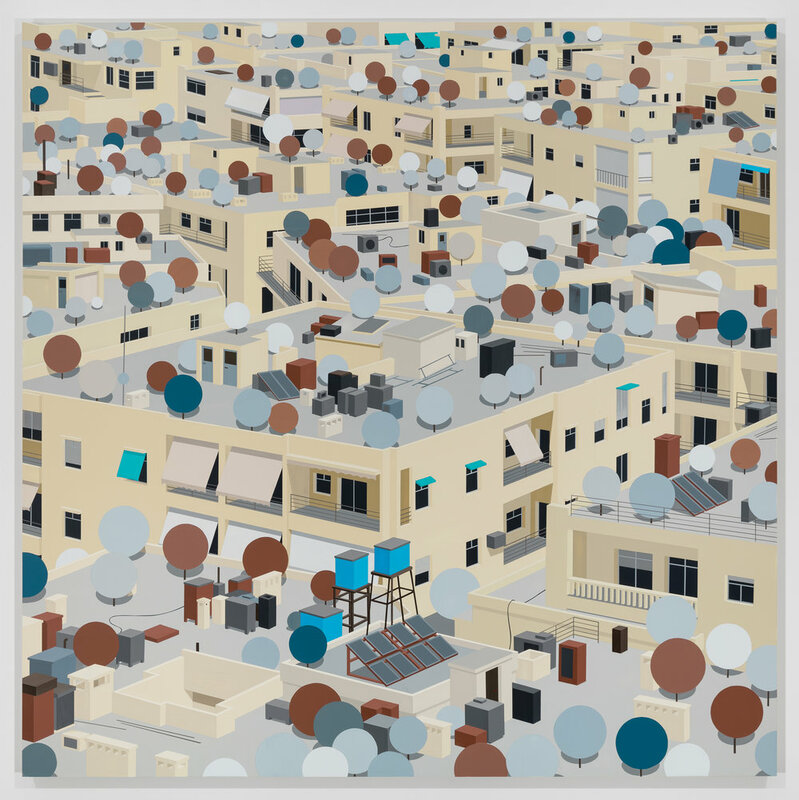 Acrylic on Dibond, 13 x 16"
East Jerusalem, 2008. Acrylic and Enamel on Wood, 64 x 48"
Amazon Books (Small Version), 2017. Acrylic on Dibond, 32 x 24"